Let's open this "Window on Iran" with a colorful and festive scene from the annual pomegranate harvest in Iran. Please see the end of this 'Window' for more pictures from this village's harvest and festival. Greetings from St. Louis, Missouri. I hope you are all well and looking forward to a happy and relaxing summer. Let me start with a bit of personal news. As you know, I have been on leave of absence during the spring semester. I am now looking forward to resuming full academic duties. 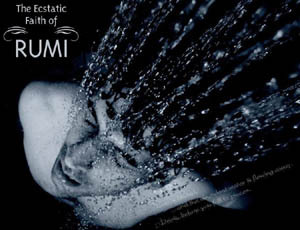 Many of you listened to the episode of Speaking of Faith called “The Ecstatic Faith of Rumi.” I was a featured guest in this hour-long program which was aired on NPR once in March and once in December of 2007. I am delighted to report that the show has received the prestigious Peabody Award. You can read the details and also listen to the show at: http://www.payvand.com/news/08/apr/1304.html. National Public Radio (NPR) program Speaking of Faith with Krista Tippett featured Dr. Fatemeh Keshavarz on their recent show on Rumi, entitled "The Ecstatic Faith of Rumi" (click on the picture to listen to the show). * Well, it appears that I can now say more on the subject. Released three days ago, the news quoted below calls for serious attention: The weapons used in Iraq were not made in Iran…after all! Please read the L.A. Times article and share it with others: “In a sharp reversal of its longstanding accusations against Iran arming militants in Iraq , the US military has made an unprecedented albeit quiet confession: the weapons they had recently found in Iraq were not made in Iran at all.” The rest is available here: http://www.informationclearinghouse.info/article19908.htm. Iranian American physics genius Nima Arkani-Hamed (Princeton University-Institute for Advanced Study). Young Iranian American physicist, Nima Arkani-Hamed, believes the universe possesses no less than 11 dimensions. Read this CNN special on Nima who is viewed these days as a Physics genius: http://www.cnn.com/2008/TECH/05/09/physics.nima/index.html. The distinguished Harvard Scholar, Iran Specialist, Richard Frye has asked to be buried in Isfahan, Iran: http://www.searchles.com/channels/show/2908. A Cypress Tree more than 4,000 years old! This 4,000 year old cypress tree is located in the Grand Mosque of Abarqu (which originally was a Zoroastrian Chahar Taqi Temple). According to local traditions, the tree was actually planted by the prophet Zarathushtra (Zoroaster) himself. News coming out of Iran often includes things much more interesting than political conflict. Here is one. 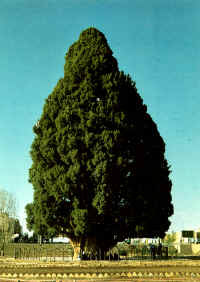 In the historic Iranian city of Yazd, a cypress tree has been identified as one of the world’s oldest living organisms. According to scientists, this tree which continues to stand graciously, is now over 4,000 years old. Take a look: http://www.cais-soas.com/News/2008/April2008/25-04.htm. Congratulations to Dr. Trita Parsi for the Award given to his Wonderful Book on Iran! Iranian Americans are becoming major contributors to the important debate surrounding Iran’s role in the Middle East and the world. Not so long ago, I recommended to you a great book on this subject, recently published by Yale University Press. It was Treacherous Alliance: the Secret Dealings of Israel, Iran, and United States by Dr. Trita Parsi. You can look up the book on Amazon.com. I do, however, want to share a great piece of news about Trita’s book. It has just won the Silver medal of “Council of Foreign Relations 2008 Arthur Ross Book Award.” Congratulations to Dr. Parsi for his excellent work and for this significant recognition: http://www.cfr.org/publication/16231/. 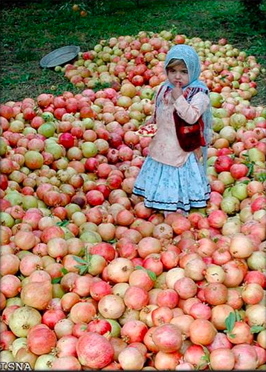 A cute little Iranian girl enjoying the pomegranate harvest. In Iran, pomegranate is a very popular and relatively cheap fruit. Pomegranate gardens are beautiful from the time the blossoms are out to the time that the fruits hang from the branches ready to be picked. 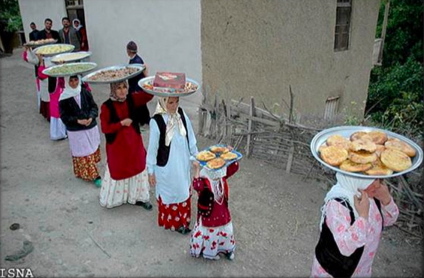 To close this window on a delicious and colorful note, let us visit the the pomegranate harvest in a village in Iran. Click here to join the pomegranate harvest: Pomegranate Harvest in Iran. Enjoy. Hope to be able to open the next window on Iran soon.